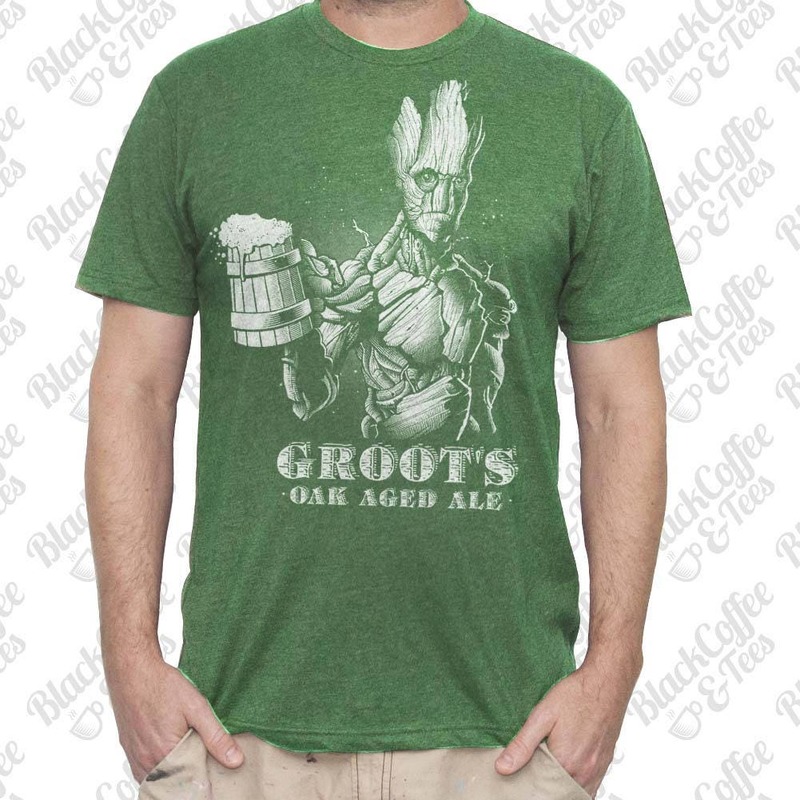 Mens Guardians of The Galaxy Mens Shirt. 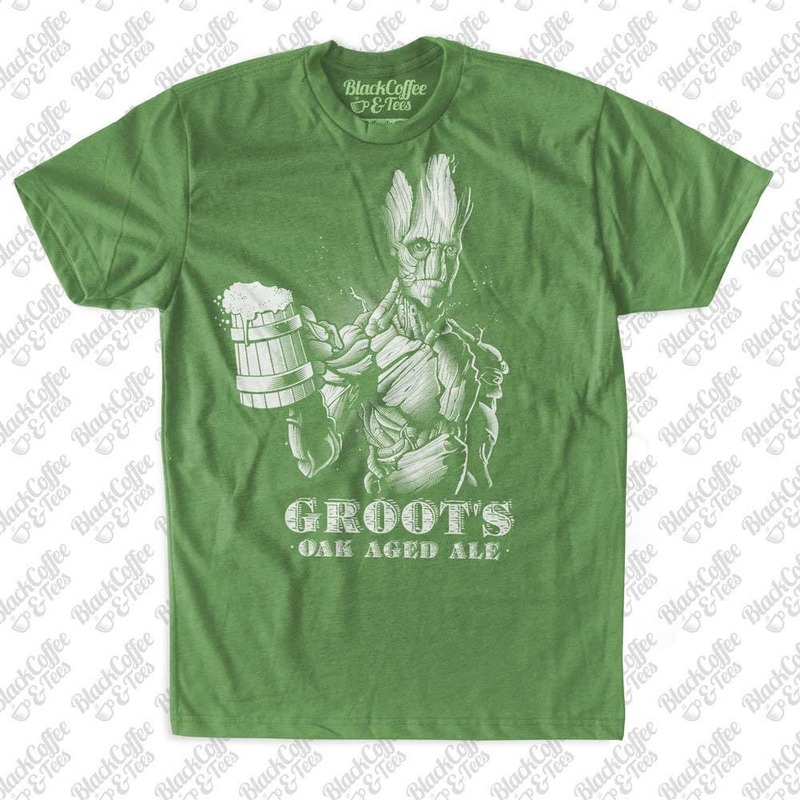 Groot from Guardians of the Galaxy is one of our favorite new science fiction super hero. 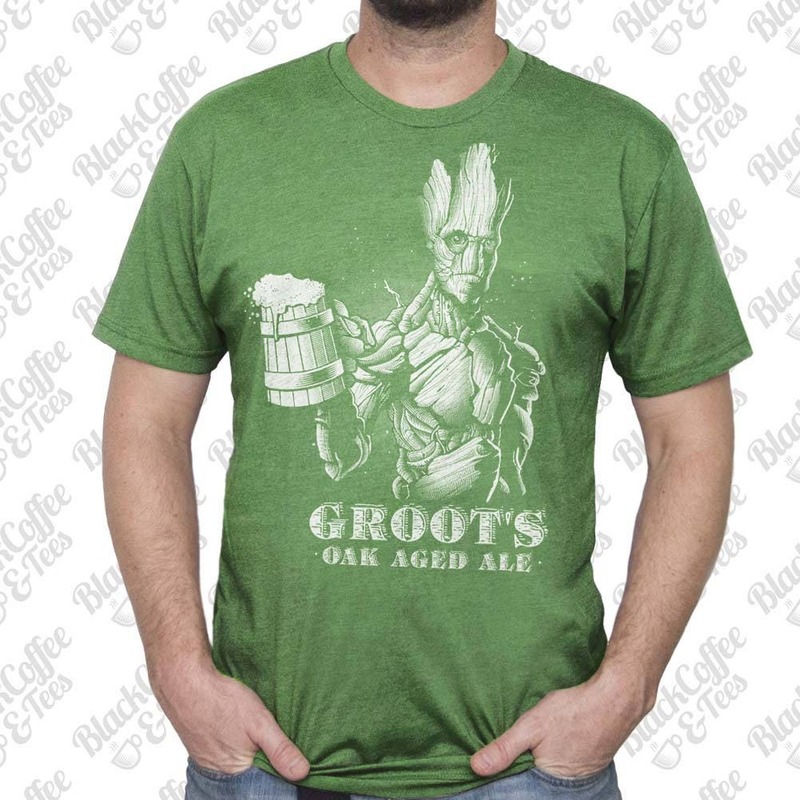 Here is Groot drinking a Oak Aged Ale. Our cotton blends are mixed to create the ULTIMATE SOFT extremely comfortable fabrics that become virtually non shrinkable. Our designs are screen printed on TOP QUALITY made apparel. All our shirts are screen printed using high mess screens. The inks are soft and light weight. 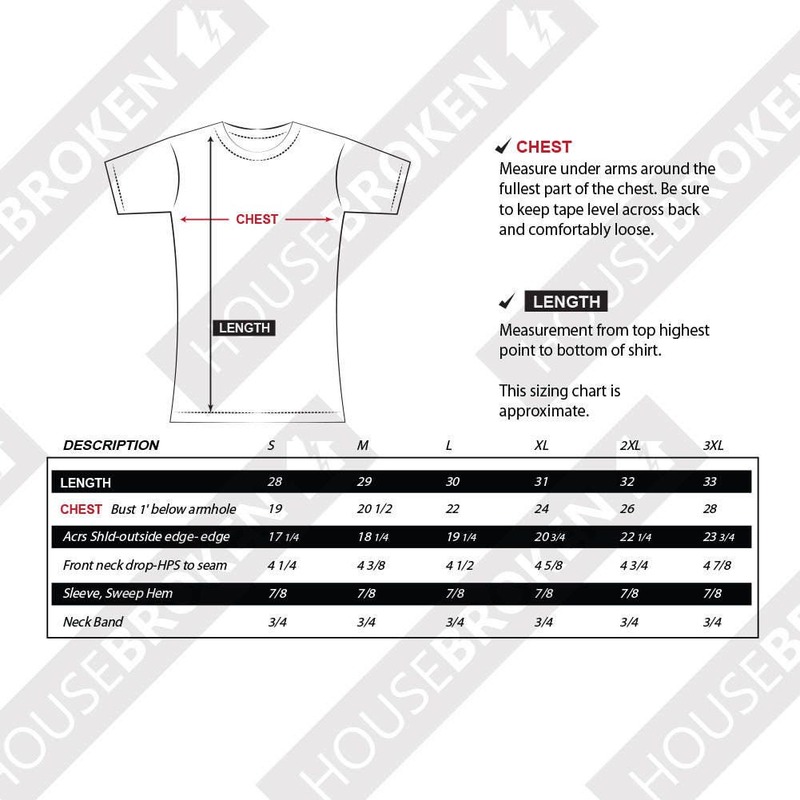 None of our prints are heat transfers, vinyl cut or iron on. We print our shirts in our own shop. If you have a custom request don't hesitate to ask. Our goal is print, pack and ship your order the same day. Sometimes we get backed up and it may take an extra day. If you need your shirt for a special date or gift, please let us know so we can try to meet your deadline. We ship via USPS exclusively which will generally get to you within 2 to 5 days. International deliveries can take from 5 to 10 days and sometimes longer.